Our guest interviewee today is Jennifer Underwood (MSW, LCSW). I knew Jen was a social worker, but until a couple of weeks ago, I didn't know she had a particular interest in overachieving youth. Then she posted a link to this article she had written on working with academically-obsessed teens. After reading it, I knew I had to interview her! Enjoy! Tell us a little bit about yourself personally, and your areas of professional interest. As an avid follower of the blog 10 Things That Annoy Me, I was intrigued by the post from Connor McCarson. Among other things, he is annoyed "When peole say that the youth are the 'church of the future.'" I asked him about this and much more in the interview you read below. The Episcopal Church's General Convention is just two weeks away! Confirm not Conform will be there, unveiling the completely updated youth curriculum. We hope you'll come and see us at Forward Movement's booth. More details will be coming soon. Do we not expect enough of our youth? I just read the amazing article A Field Guide to the Middle-Class U.S. Family--wow! I highly recommend it to anyone working with families in that milieu. One of the findings is that in U.S. middle class culture, people often do not expect children to contribute in any meaningful way. Read more about Do we not expect enough of our youth? 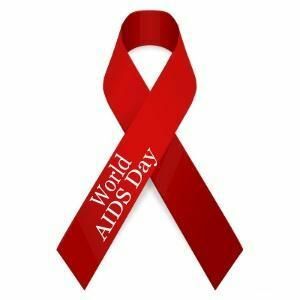 It occurred to me today, on this World AIDS Day, that for many of the youth in our churches, AIDS is something that happens to Other People Far Away. But for many of us who work with youth, we went through the time when AIDS was a death sentence that affected people close to us. I wonder if sharing those stories and memories will help to make our current response to AIDS more compassionate and more urgent. Last week, the radio program This American Life did a terrific show on the phenomenon known as Middle School. Among the many things that I found revelatory was this information from Linda Perlstein, author of Not Much Just Chillin: The Hidden Lives of Middle Schoolers.